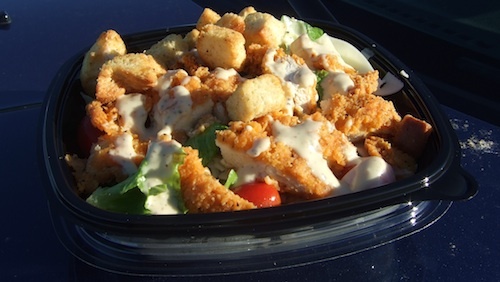 Chik-fil-a has delicious salads with low-fat vinaigrette dressing. Jason's Deli Nutty Jumbled up salad thingy...is so freakin' delish, too. 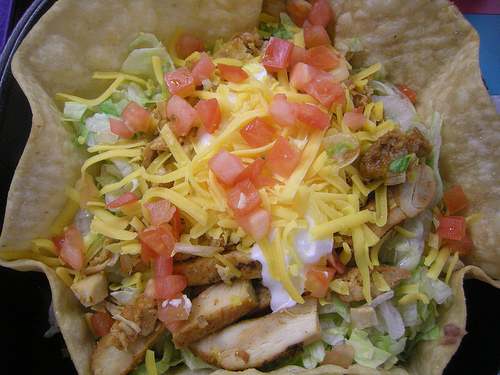 I can also get fajitas from taco cabana, sans tortillas. Jack in a crack has good salads, too. i've become really keen on salads and getting creative at restaurants. LOL @ PT eating YOUR leftovers...omg how RUDE! ;-) B-A-B with less fuzz, ha that is funny! I can make about 6 meals out of my favorite Qdoba Mexican Gumbo (chicken, yes, rice, no.) Love the Ensenada Chicken platter at Red Robin too, I only order 1 breast and save half for another meal. I am already planning some outtings for absolute "eatery" nxt time i'm there!!!! We MUST go to Pappadeaux. The redfish is a little filet of heaven. Thanks for the post, This was exactly what I needed to see. Good list, keep up the good work.